Qatar on Wednesday announced its decision to allot $150 million in aid for the blockaded Gaza Strip, a day after fuel purchased by the Gulf state arrived at the only power station in the coastal enclave. 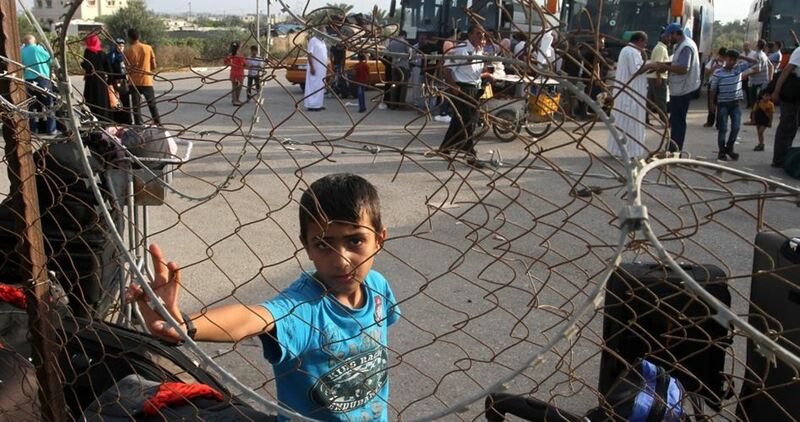 The world body says Israel's 11-year blockade of the enclave has resulted in a "catastrophic" humanitarian situation. In a Wednesday statement, Hamas spokesperson Abdeal Latif al-Qanoa said the shipment of Qatar-donated fuel for the sole power plant in Gaza is the first step to alleviate the plight of the Palestinian people in the Gaza Strip. He confirmed that this move would be followed by other actions regardless of the Palestinian Authority’s consent. Canada announced Sunday it will provide CAN$50 million ($38.2 million) for humanitarian aid in Palestine. The statement came during Bibeau’s visit to Israel and the Israeli-occupied West Bank from July 25 to 29, 2018. Bibeau said: "The fresh support for Palestinians focuses on urgent humanitarian needs and on economic growth"
With its modest dishes and the smile on the faces of its employees, which in turn drew a smile on the faces of the poor and the needy, the Sanabel Al-Awda Tikkiyeh (charity) started its work in the holy month of Ramadan to provide food to the poor and needy in the Gaza Strip. 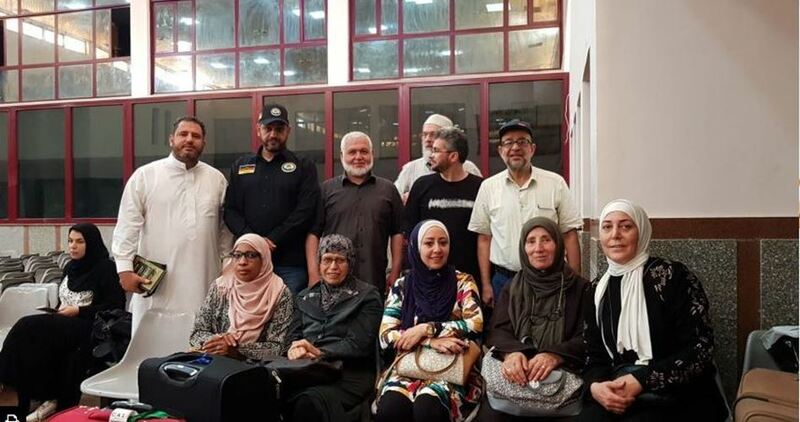 On the first day of the holy month of Ramadan, the Tikkiyeh was initiated by the Foundation for Hearing and Sight for Community Development and Rehabilitation, with the support of benevolent people from Qatar and the Gaza Strip. The project aims at alleviating the suffering of the poor and needy families, which has soared because of the Israeli siege that was imposed on the Gaza Strip 12 years ago. 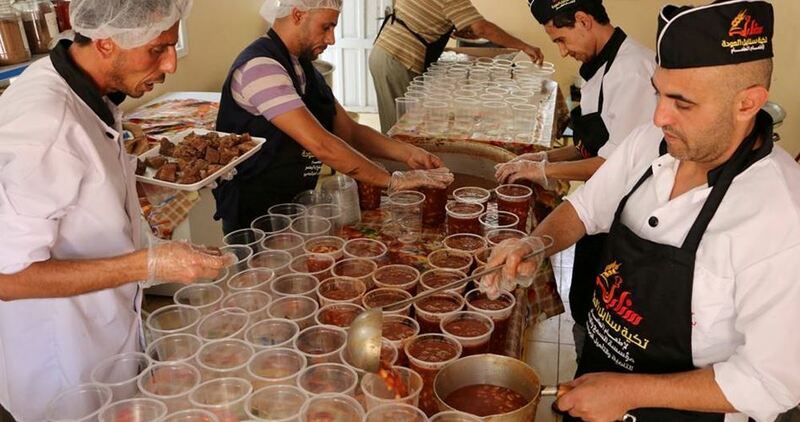 He underlined that the charity distributes food to 500 families a day in Ramadan, with a total of 2500 people, indicating that the project will feed 80,000 people by the end of the holy month of Ramadan. The Tikkiyeh offers all kinds of oriental, western and popular dishes such as beans, rice, chicken and others. Speaking of the targeted groups, Mahani explained that the distribution is made in cooperation with the Ministry of Waqf and Religious Affairs as well as the Zakat Committees in the governorates of the Gaza Strip. The project’s supervisors aspire to continue the work of Sanabel Al-Awda after Ramadan, and continue to distribute food to the poor and needy. They appealed to the benevolent people to support their project and to stand by the Palestinian people in their ordeal. A Moroccan humanitarian aid convoy accompanied by a field hospital and medical crews arrived in the Gaza Strip through Rafah crossing on Friday evening. Quds Press reported that the 165-member delegation that arrived with the convoy included Morocco's ambassador to Egypt Ahmad Tazi in addition to doctors and technicians for the field hospital set to be established in Gaza. 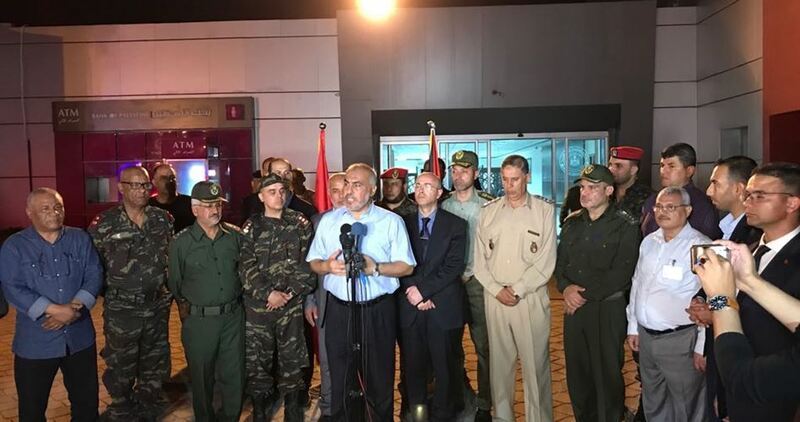 The Moroccan ambassador, during a press conference at Rafah crossing, said that 17 Moroccan aircraft carried humanitarian aid and medicines from Morocco to Gaza through Egypt. Tazi said that this initiative by King Mohammed VI of Morocco came in view of the hardships experienced by the Palestinian people in Gaza and the increasing number of casualties in the Great March of Return protests. For his part, the Hamas leader Ghazi Hamad, who received the convoy upon its arrival at Rafah crossing, hailed Morocco's noble initiative which shows that the Palestinian people are not alone in their struggle against the occupation, injustice and siege. The Moroccan Ministry of Foreign Affairs on 28th May announced that King Mohammed VI had decided to establish a field hospital in the Gaza Strip to provide the necessary treatment for the civilians injured in the recent border events. The Palestinians in Gaza have been protesting peacefully since 30th March along the border with the 1948 occupied Palestinian territories in demand of the Palestinian refugees' right of return to their lands and villages from which they were expelled by force in 1948. According to Gaza's Ministry of Health, since the start of the protests the Israeli occupation army has killed 127 peaceful protesters, including 13 children, and injured 14,700. The 34th aid convoy of Miles of Smiles campaign arrived in the beleaguered Gaza Strip Tuesday evening through the Rafah border crossings after a long hiatus. The convoy is considered the first of its kind to reach Gaza since Israel's 2014 military aggression. The convoy has been accompanied by a delegation of activists from Britain, Belgium, Germany, Algeria, Jordan, Indonesia, and Kuwait. The delegation plans to hold meetings with Palestinian ministers in Gaza and visit refugee camps, March of Return camps and hospitals. Three planes carrying humanitarian aid shipments landed in the Jordanian capital Amman on Thursday, coming from Morocco as a gesture of solidarity with the Palestinian people. Each aircraft carried 10 tons of food and relief items. The aid has been provided by Mohammed V Foundation for Solidarity. The Moroccan gesture will also include the establishment of a field hospital in Gaza to provide different medical assistance, including medication, to victims of recent events. According to Jordan Hashemite Charity Organization, more humanitarian convoys to be funded by donations from Morocco will be sent to the West Bank in coordination with the Palestinian government. Palestinians in Gaza, the West Bank and Jerusalem will benefit from this aid. A four-ship Freedom Flotilla on Tuesday has set sail for the Gaza Strip to challenge Israel’s decade-old blockade of the besieged territory. 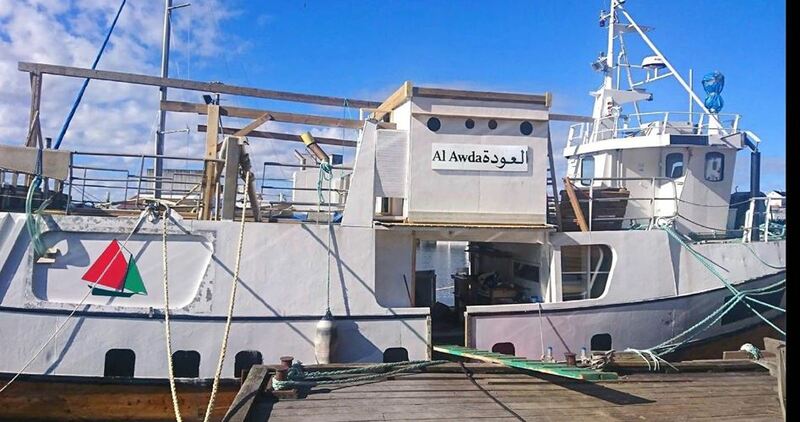 The Al-Awda, Arabic for The Return, vessel set sail a week ago from Norway and linked up with three other boats in Copenhagen, Denmark on Sunday, before beginning a tour of European ports which will end in the Gaza Strip. The boat was named to commemorate the 70th anniversary of the Nakba, or Catastrophe, in which more than 700,000 Palestinians fled or were forcibly expelled from their homes during the establishment of the Israeli state. Volunteers will join the multinational fleet for different legs of the journey, with a select group assigned to participate in the final run to Gaza. “The blockade of Gaza is in its 11th year. It is such a gross violation of international law that it can be characterized as a crime against humanity,” participant Mikkel Grüner, a Danish national who is city councilor in Bergen, Norway, said. 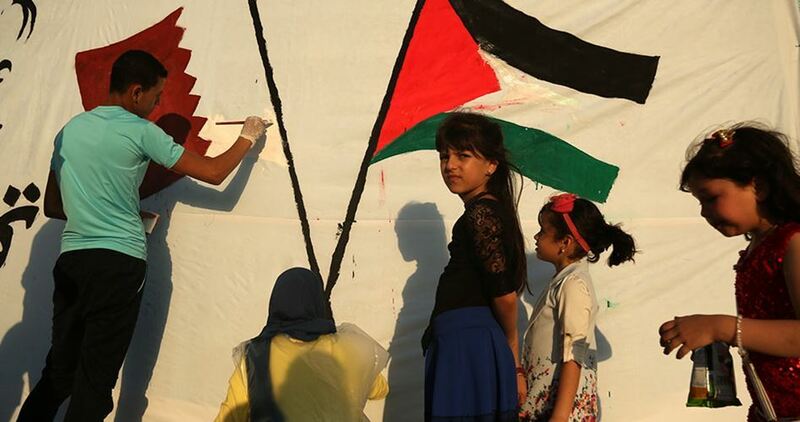 This year’s freedom flotilla comes just weeks after Israeli forces opened fire on demonstrators in Gaza protesting for the right of return, killing more than 60. Britain has called on all besieging parties to improve the humanitarian situation in the embattled Gaza Strip. 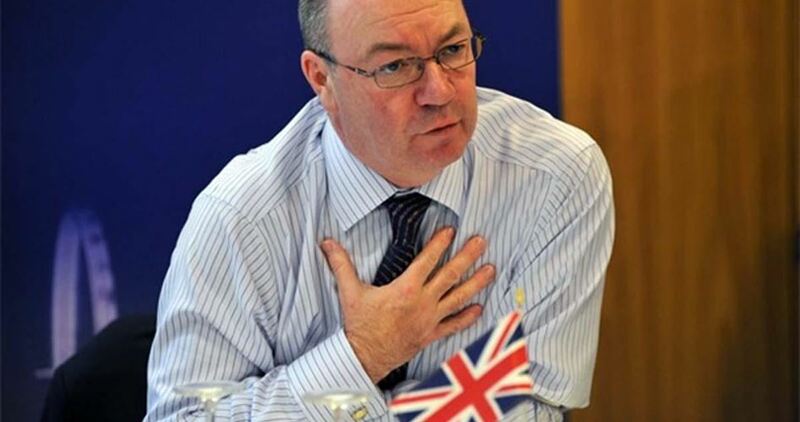 “I strongly welcome Egypt’s announcement that the Rafah crossing between Gaza and Egypt will be opened throughout Ramadan,” the British embassy in Cairo quoted Middle East minister Alistair Burt as saying. “Vital to improve the dire humanitarian situation in Gaza,” Burt added. Recently, Burt also addressed his country’s parliament and called for an investigation after Israeli soldiers shot dead dozens of unarmed Palestinian protesters on the Gaza border. He also called for an easing of restrictions on movement in Gaza and international support for infrastructure and development projects there. In a related context, the official news agency in Cairo announced on Saturday, May 19, that the Egyptian authorities would allow a large convoy of medical and food aid into Gaza, without providing further details. Earlier, the Egyptian presidency ordered the opening of the Rafah crossing with Gaza during the entire holy month of Ramadan. The Freedom Flotilla coalition has announced the preparation for a new campaign to break the siege on Gaza. The campaign will be launched from northern Europe in mid-May under the slogan "for a just future for Palestinians". 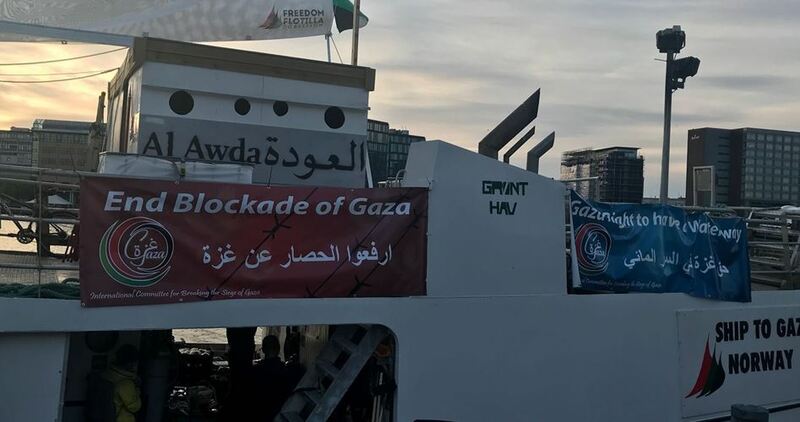 One of the vessels that will sail for the Freedom Flotilla was named al-Awda (Return) to mark the 70th anniversary of the 1948 Nakba and support the Palestinian refugees' right of return. Zaher Birawi, a founding member of the Freedom Flotilla coalition, said that this year's campaign to break the siege will have special significance because it will be launched in conjunction with the peak of the Great March of Return in Gaza which demands the return of all Palestinian refugees to their lands from which they were expelled in 1948. Birawi added that the ships will visit some European ports in addition to one Arab port, where solidarity events in support of the Palestinian people will be organized, before heading to Gaza. He pointed out that the relatively small ships will be carrying dozens of public figures and international peace activists from over 20 countries, and are expected to arrive in the Gaza Strip early July.